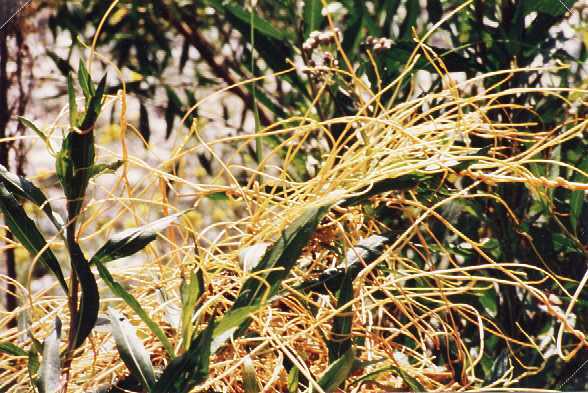 Notes:The name "witch's hair" comes from its stringy appearance. Because it does not contain chlorophyll, it is a yellowish- orange in color. 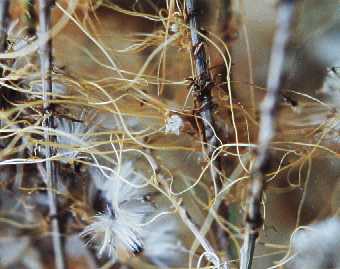 The dodder sprouts from a seed in the soil. If it touches a green plant within a few days, it drops its roots and forms haustoria at the contact point(s). The haustoria invade the green plant to obtain nutrition.